Chris and Sonja - The Sweet Seattle Life: Pepe! Clearly, I need to practice my hypermiling. We've been pretty jazzed about Pepe's mileage performance, given that gas prices continue to climb. I'm also excited about the new prius that should make its debut in the next couple years. 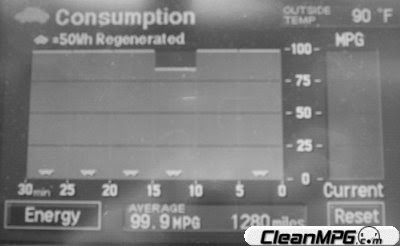 Click here for reasons why you might want to wait until 2010 before buying a new hybrid vehicle.